Don’t miss your chance to learn your camera settings before the holidays!!! Our 4 week class in Dec. is now on sale for $150, regular $249.99. You’ll get a free field trip and Cheat Sheet included too! Sign up on our website, call the studio, or send an email. Get to know how to use your camera and get great family holiday shots this year. Includes an Outdoor Field Trip for 2 hrs. on a weekend of your choice. Christmas Portrait Time is here! Come out and have your children photographed with Love by Katydid. Choose from our beautiful 2017 white and gold indoor setting or from the beautiful lights in Lahaska village. Its that time of the year again and the Holiday Season has already started, especially for those who like to start early. During this time, we reach out to the ones we haven’t connected with and arrange gatherings with friends and family. Amid these gathering we often snap a few photos on our phones or point and shoot cameras and often forget about them once the holidays are over. However, quality photos that hang on walls and displayed in frames are memories that are not easily forgotten. They serve as a reminder of the time when everyone was together from near and far and show how we have changed and grown over the years. Here at Katydid Photography we do just that, we capture memories that last a life time and serve as a reminder of who we are as individuals and as a family. Our studio accommodates large groups which is perfect for those extended family portraits, we also invite pets to take part in our portrait experience. During family sessions, we take the time to photograph individual family portraits to provide a personalized gallery choose from. Some of our busiest times are the weekend of Thanksgiving and before and after Christmas when families are together from all over. So we encourage you to take advantage of this time of the year, gather your family and join us in our studio to capture your memories. 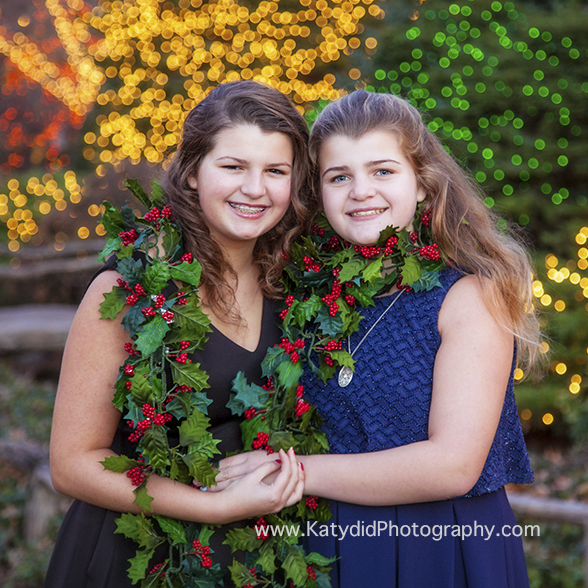 You may view our gallery online at http://www.katydidphotography.com and follow us on Facebook and Instagram.